One obvious question might be: What on Earth does a noisy fan have to do with a nefarious looking bird? If you want the short answer, skip to the end. If you want that answer to have more impact, continue reading. 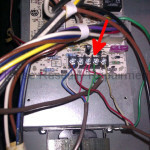 As you heard, the furnace’s exhaust fan was noisy. Ach Tune Air got the first call. They diagnosed a bad exhaust fan motor. That motor is no longer made. It’s been superseded by a new motor that requires a new circuit board as well. 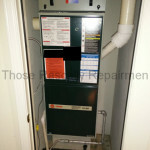 Ach Tune’s repairman didn’t think the furnace (pictured below) was worth fixing, so he suggested replacing it. It’s only 14 years old! I got the second call. I turned the furnace on and the very first thing I heard was water sloshing inside the volute of the exhaust fan. (This kind of furnace makes condensation when it runs.) The sloshing was even louder in person than what you heard in the video. 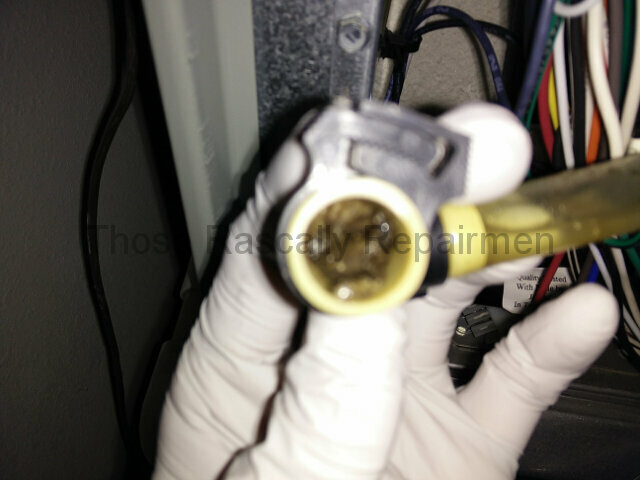 I found the exhaust fan’s drain line plugged (below) and cleared it. Problem solved. Any rookie could have done the same. Was that an isolated incident? Maybe not. 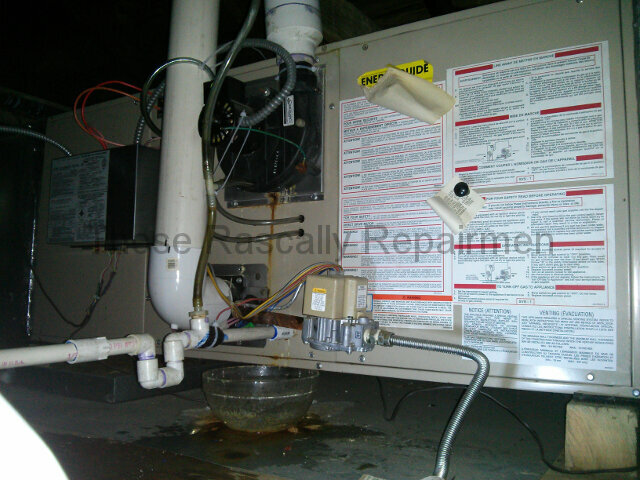 The furnace pictured below was leaking water a few months ago. Rindle Replacements got the first call. Hindrance Heating got the second call. 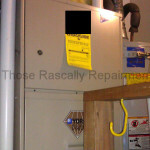 Neither one produced a diagnosis, other than to tell the homeowner she needed to buy a new furnace. 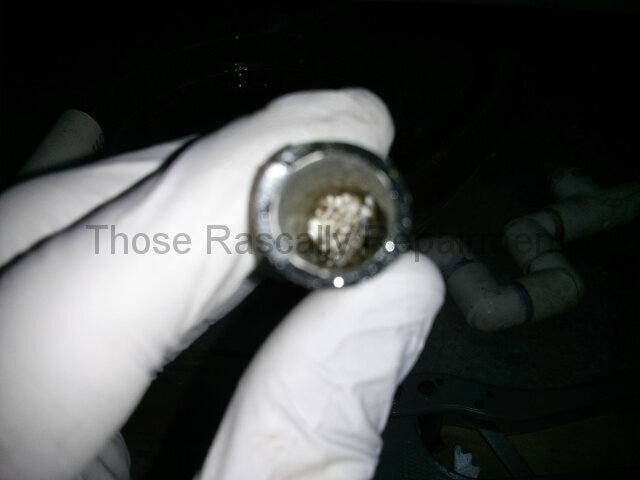 I got the third call and found the very same drain line (below) plugged and cleared it. Problem solved again. Am I a miracle worker? Or am I just good at noticing the obvious? Maybe it’s a little of both. And maybe the vast majority of repairmen are on commission. Want more? As you can read here, Req Tech was faced with the same problem. 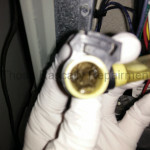 Though he tried, tried and tried again (by replacing various and sundry parts), he just couldn’t diagnose that clogged drain line. After trying to the tune of $600, the silly goose gave up. At least he tried. This isn’t isolated at all. If a one-man operation such as myself can catch four contractors messing up the same diagnosis in just one heating season, how many times have they and others not been caught on this and a gaggle of other diagnoses? It seems that competent repairmen are scarcer than hen’s teeth. A skeptical reader might respond, “Those repairmen must be the exception. Surely they don’t represent the whole flock.” Surely they do. All four contractors are licensed and bonded. Collectively they have an A rating on 3B, a 4.5 star rating on Gaggle and a 4.0 star rating on Yowl. Three of the four are 3B Accredited. Rindle Replacements happens to be Cubic Zirconia Certified. How can this be? Money, of course. Most watchdog organizations are funded by the businesses they’re watching. They have no interest in watching too closely. When you think about it, the watchdogs and the dogs they’re supposedly watching aren’t four-legged. They’re two-winged. They’re birds of a feather. They’re nestled together. And bird brains they most certainly are not. Together they’ve rigged the system to rack up high ratings when they should be racking up goose eggs. Click here for even more ruffled feathers. 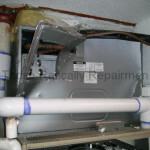 Liewright Heating & Cooling is new to this blog, but they’re not new to me. I followed behind them for the first time over four years ago. It was a hot day in June. 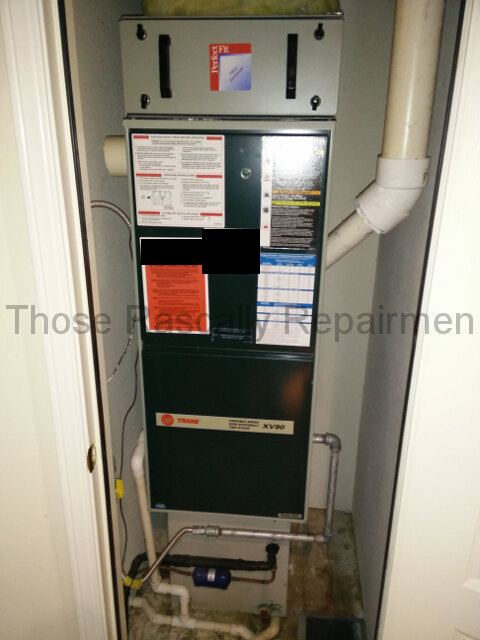 The furnace pictured below wasn’t blowing air. 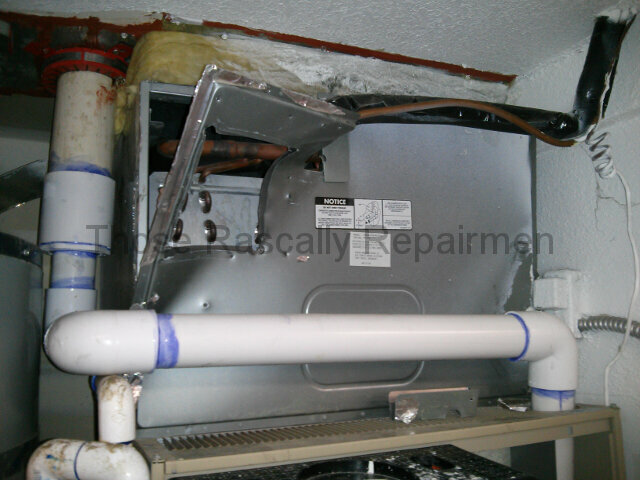 The furnace’s blower is the air conditioner’s blower, so that meant the air conditioner wasn’t blowing either. By the time I called the homeowner back, Liewright had diagnosed a bad circuit board. Something didn’t sound right to me, so I took a look while Liewright ran to the parts house. The green wire (below) controls the blower. It was loose. And by loose, I mean quite possibly disconnected by a repairman during a fall heating checkup. 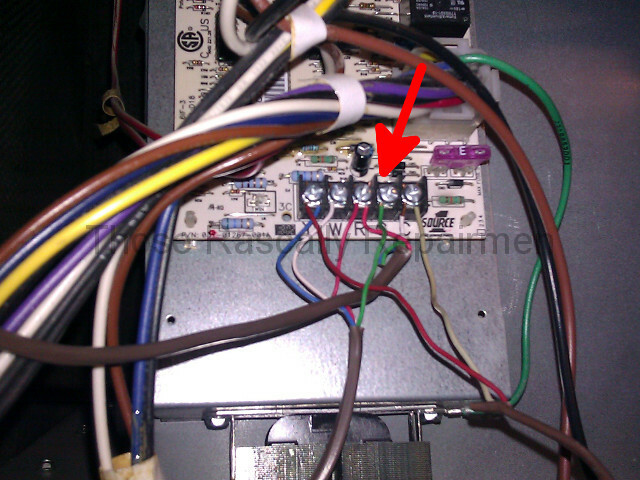 The loose wire didn’t affect heating function, only cooling function. I secured the wire and saved the homeowner a lot of scratch. I’ve been bird-dogging Liewright ever since. Of particular note was a second opinion call I ran about a year ago. 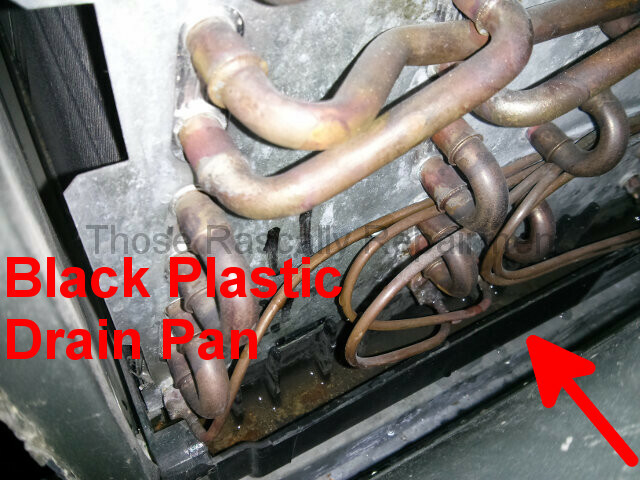 Water was leaking from the cooling coil pictured below. (The coil’s cover is pulled back in the picture.) Liewright diagnosed a rusted out drain pan. 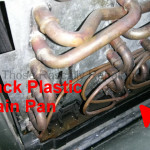 Since the cooling coil is nestled in the drain pan, they recommended installing an entirely new coil for $1,500. Incredulous, I asked the homeowner to call Liewright to confirm the diagnosis. He did and they did. Why was I incredulous? Because, as you can see below, the drain pan is plastic. It quite literally can’t rust out. 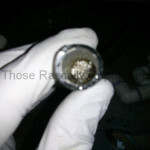 The real problem all along was a clogged drain line. This system happens to have a cleanout, so clearing the clog took just minutes. 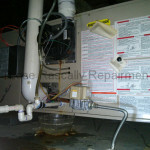 Most recently I was called to check the condenser pictured below. Two months ago Liewright diagnosed a bad fan motor. As you’ll see in the slideshow, they charged an incredible $950 to “fix” that problem. In the process they created several new problems. 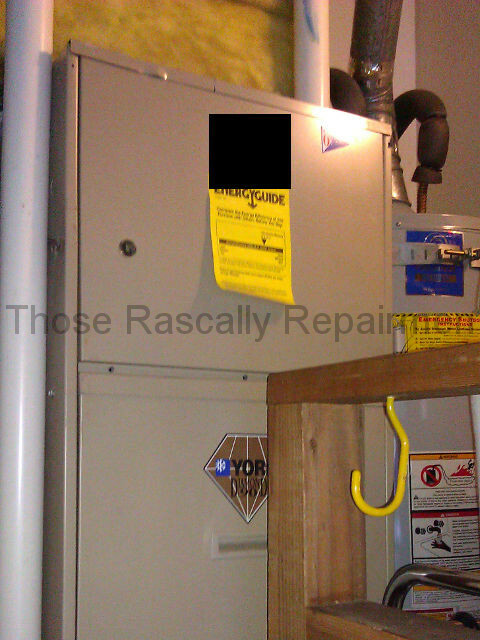 When the homeowner called Liewright back, they blamed the compressor and recommended a whole new unit. The old one is only 11 years old! I tell Liewright’s story here because, according to every rating system I can find, they’re not just good. They’re one of the best. They’re both Cubic Zirconia Certified and 3B Accredited. They’re rated 4 stars on Yowl, 4.6 stars on HomeAdvertiser, 4.9 stars on Gaggle and 5 stars on CustomerRobby. In other words, the rating systems you trust want you to believe that this ugly duck is actually a beautiful swan. How can this be? If you didn’t believe me the first time, believe me the second: Money! Virtually every rating system is funded directly or indirectly by the businesses they’re rating. Even so, that’s only half the answer. There is yet another willing accomplice in this monetary murder most fowl. That accomplice that will both surprise and offend you. Stay tuned.